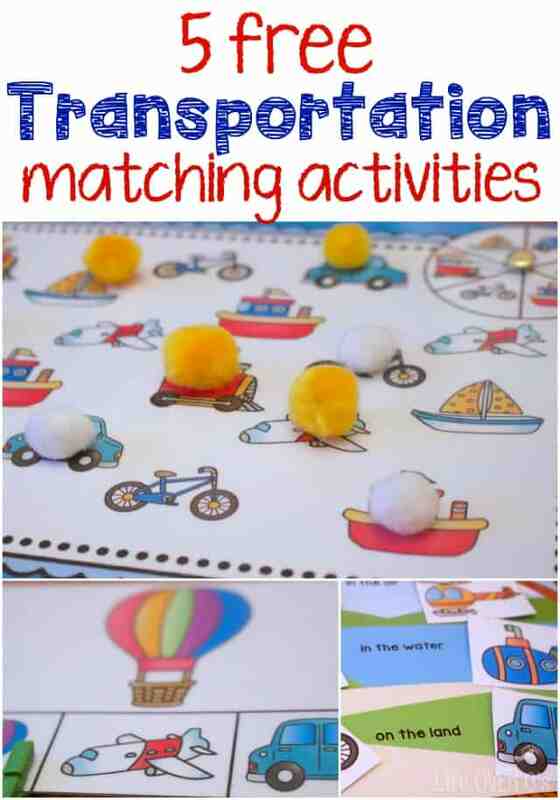 I’m continuing on the transportation theme today with transportation theme free printables to build matching skills for preschoolers. 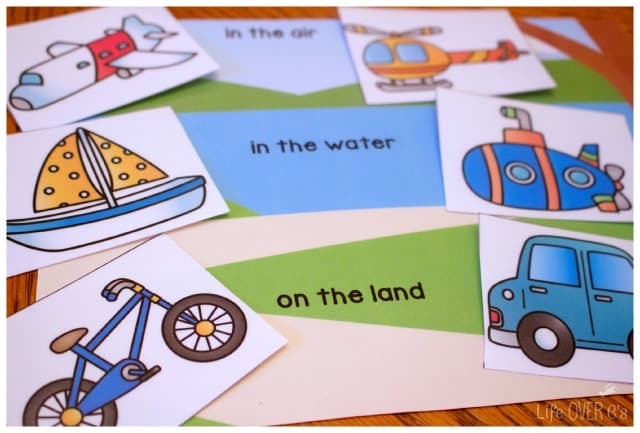 Just like the counting to 10 set and the pattern set, this pack of matching activities was created for me to use with my three year old who has a language delay. 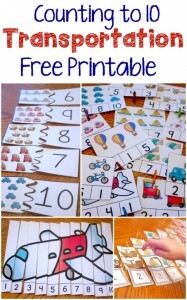 You can use it for speech therapy or you can use it with any preschooler who needs matching practice. Shiloh is beginning to recognize a lot of different forms of transportation now and is creating her own (super adorable) words for each them. As we continue to practice she will be able to pronounce more syllables and different phonetic combinations that she can’t right now. 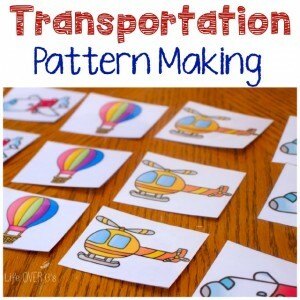 This pack also provides some practice with classification with the transportation sorting activity. Have your kids put the proper vehicles in the place that they would be used: on the land, in the water, or in the air. This is another great opportunity to talk about location words such as ‘in’ and ‘on’ as well as the different locations themselves. 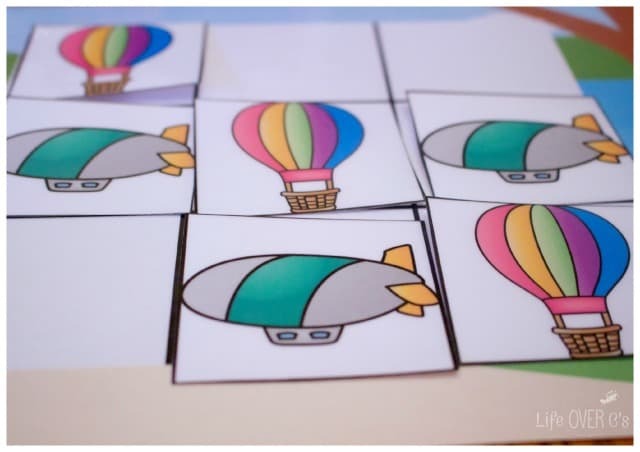 You can also get in some fine-motor skills practice by using clothes pins to mark the correct picture on the matching clip cards. I used teeny tiny clothes pins this time for some variation. We’ve also used different themed clothes pins for other activities just to get the interest up. Along with those activities there are two games included. 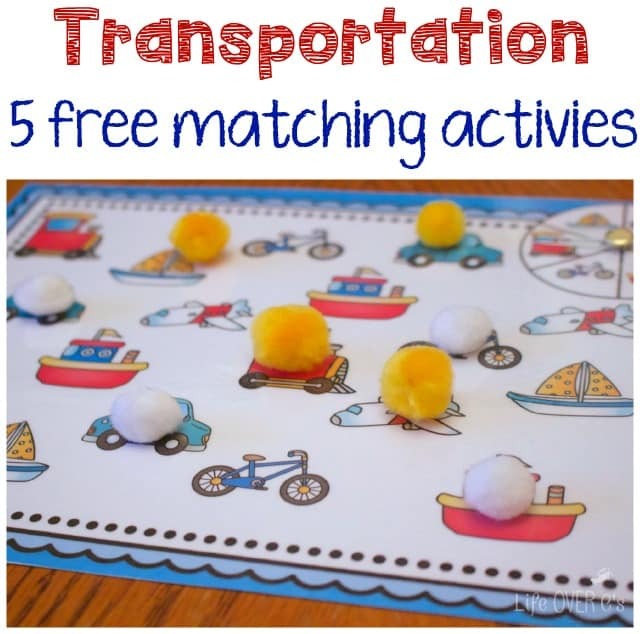 First the ever-popular Tic-Tac-Toe with a fun transportation theme. Then, a game of Spin & Cover. 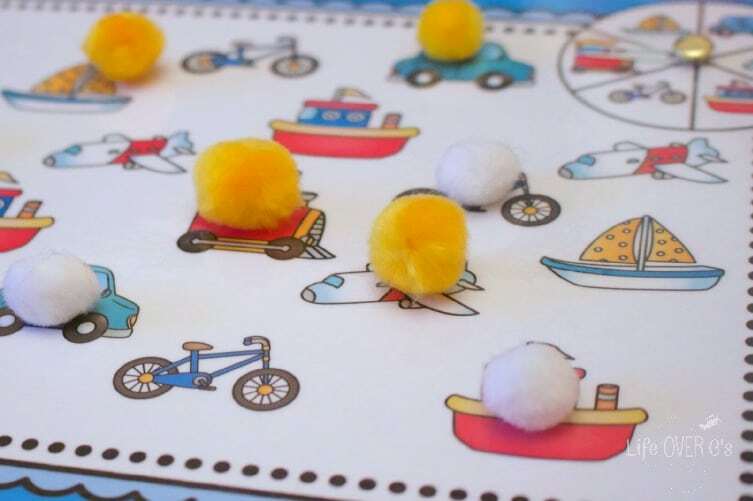 You can use it as an independent activity by covering the picture each time it is spun. You could stop when you have covered all of one type of transportation or continue until the board is filled. 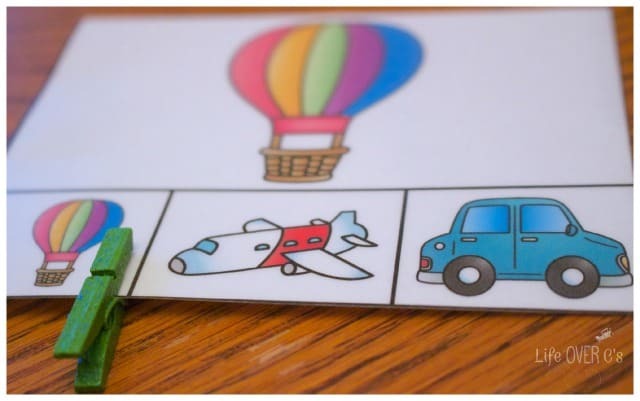 You can also use it as a game with two people and the winner would be the one who has the most vehicles covered when the board is filled. 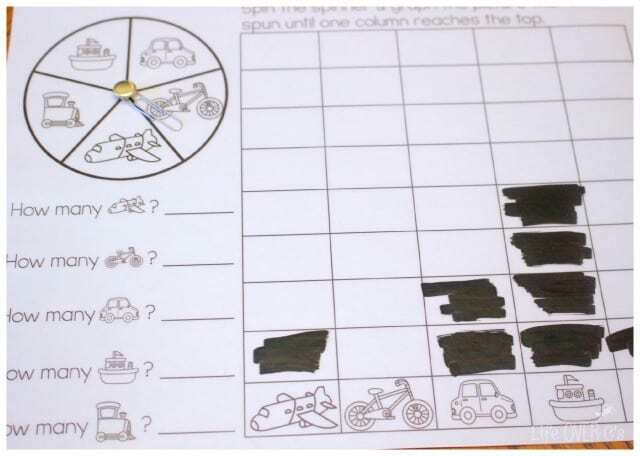 For higher level students, I included a spin & graph activity that you can use over and over if you laminate it or slip it into a protective sleeve and use it with a dry-erase marker. I also included a fun game of Match It! as an extra!